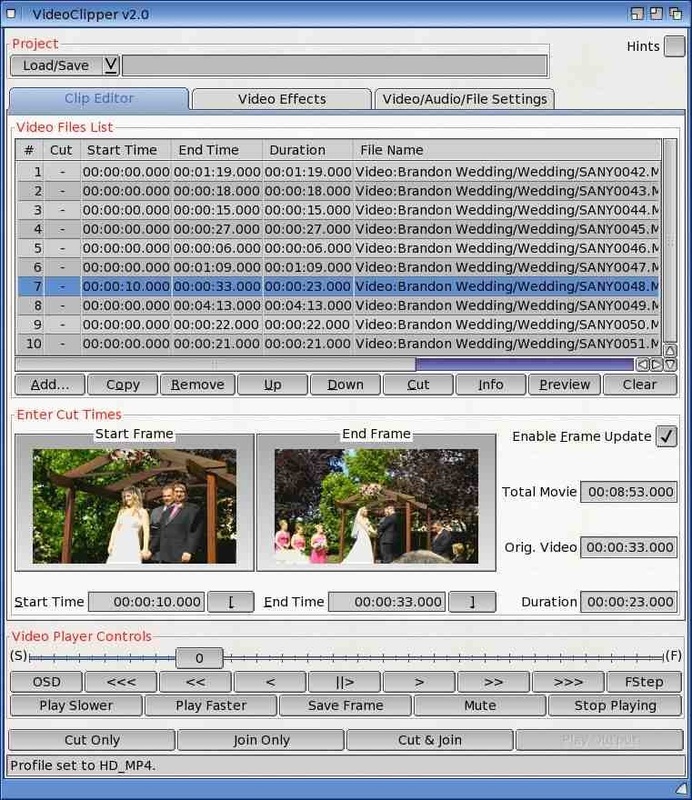 ﻿VIdeoClipper - Cut and/or join multiple video files. A GUI for the ffmpeg video conversion program. It supports setting video and audio conversion parameters as well as cropping, padding, and simple stream mapping. Adding custom command line options is supported to allow access to the full power of ffmpeg. In addition saving and loading setup files is allowed to ease frequently repeate﻿d operatio﻿ns. Several predefined settings files are included which support common use cases. ffmpeg is a command line program which supports decoding and encoding a large variety of video, audio, and graphics formats while supporting the changing of various parameters. Copy a ULR to the clipboard or supply one from the command line and ClipDown will automatically download the webpage, view a file, play a sound file or play a video file based on the file type the URL point to. Also supports playing videos from several video sites.